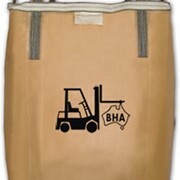 The Fresco range of bulk bag fillers are designed to provide the highest accuracy and ergonomics while being robust enough to stand up to the harshest of environments. 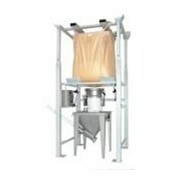 The Fresco Systems Bulk Bag Filler can with stand Bulk bags up to 2000mm high and weighing 2000kg can be filled at up to 25 units/hr. 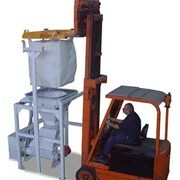 The simple double wound mechanism allows for quick and simple bag height adjustment by the operator to suit any bag size.Rear bag strap hooks that slide forward allow the operator to load an empty bulk bag from the front of the unit and immediately clamp the fill spout using our unique single-handed bag spout clamp. 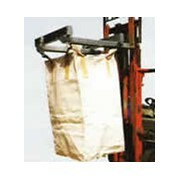 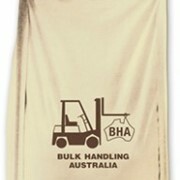 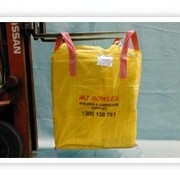 The bag straps are retained on the hooks and when filling is complete the hooks rotate 90° allowing for easy removal of the bulk bag by gravity, powered conveyor or forklift. 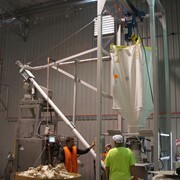 All standard fillers incorporate a spout clamp which is used to provide a dust tight connection between the bulk bag inlet spout and the fill head. 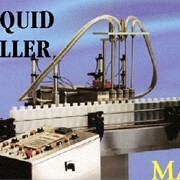 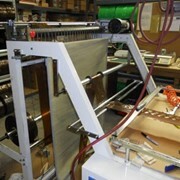 The standard spout clamp incorporates two concentric tubes, the material flowing through the inner tube, while the outer tube allows for bag inflation air to enter the bag prior to filling (refer to bag inflator option) and for displaced air to be vented through a port with a filter sock, or connected to a separate dust collector. 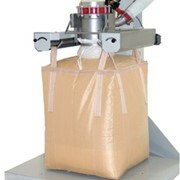 Offered as an option the Fresco bag inflator inflates the bulk bag prior to filling, removing creases and folds which could cause irregular filling of the bag making it unstable. 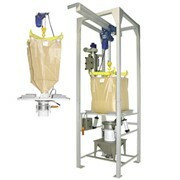 The venturi type bag inflator has no moving parts reducing maintenance and is fully sealed during the bag filling process by a pneumatically actuated butterfly valve. 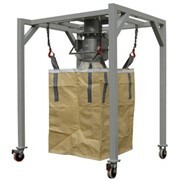 Displaced air is vented to a dust collector or vent sock during the bag filling process and is sealed off by a pneumatically actuated butterfly valve while the bag inflator is in operation. 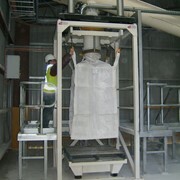 The densafying deck provides vibration to the base of the bulk bag during the filling process ensuring product is de-aerated and the product fills the bulk bag providing a stable, compact bag. 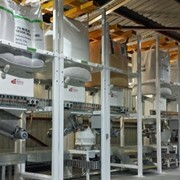 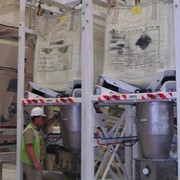 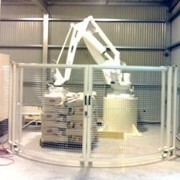 Discharge and infeed conveyors including powered and gravity are available to suit all installations.